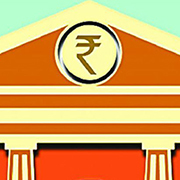 Banking units operating in International Financial Service Centres (IFSCs) can now open foreign currency current accounts of units operating in IFSCs and of non-resident institutional investors to facilitate their investment transactions, according to Reserve Bank of India.Hitherto, the IBUs (IFSC banking units) were not allowed to open any current or savings accounts.The RBI, in its notification, also clarified that the IBUs cannot raise liabilities from retail customers including High Net Worth individuals (HNIs). Also, no cheque facility will be available for holders of current accounts in the IBUs. All transactions through these accounts must be undertaken via bank transfers. Further, the RBI has prescribed exposure ceiling limits for IBUs. The exposure ceiling of IBUs has been pegged at 5 per cent of the parent bank’s Tier-I capital in case of a single borrower and 10 per cent in the case of a borrower group. According to the RBI, any financial institution or branch of a financial institution set up in the IFSC and permitted/recognised as such by the Government of India or a Regulatory Authority will be treated as a person resident outside India.A financial institution or branch of a financial institution can conduct such business in such foreign currency and with such persons, whether resident or otherwise, as the concerned Regulatory Authority may determine.